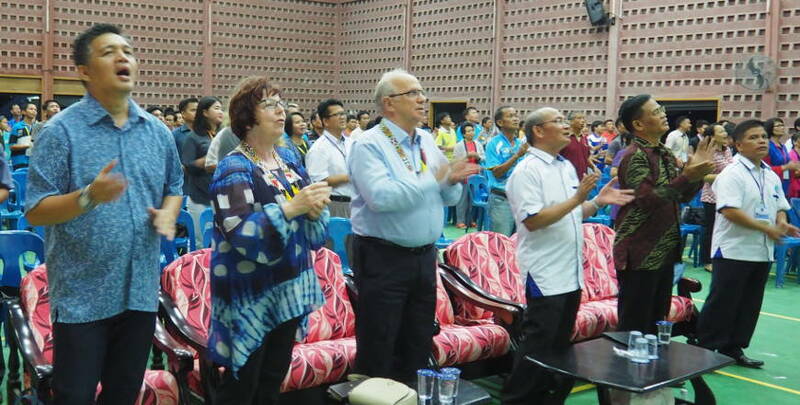 More than 450 participants gathered in Malaysia for the 38th Synod of the Protestant Church in Sabah (PCS), focusing on the theme ‘Memberkari Sesama Membangun Tubuh Kristus – ‘to bless each other to build the body of Christ’. 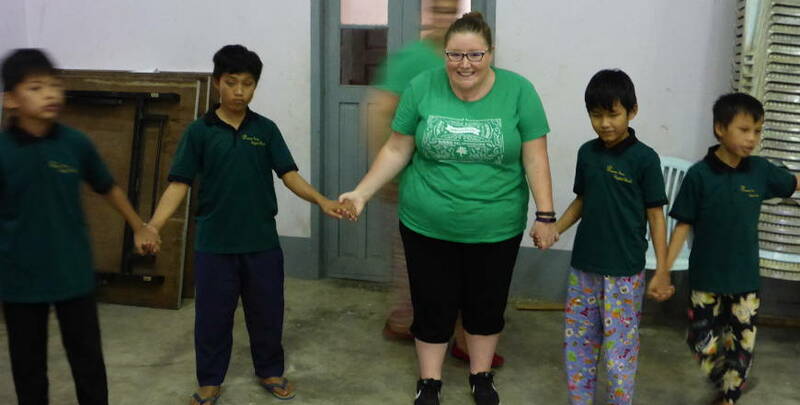 Three were from the Lutheran Church of Australia (LCA) – volunteers Ilene and Pastor John Thiel and LCA International Mission Program Officer Erin Kerber. In the presence of our brothers and sisters in Christ, they learnt what it means to bless each other and build the body of Christ. We learnt about the opportunity to be blessed. We were welcomed into the PCS faith community with an almost overwhelming warmth and hospitality. We were given seats of honour at the front of the Synod where we not only had the best view but also felt the praise of our brothers and sisters to our Heavenly Father cascading around us. We joined in with praise and worship and Pastor John was asked to preach at a morning devotion. He explored the way Christ provides the church with teaching pastors who share the gospel. The Holy Spirit produces faith in those who hear the gospel and this is how the body of Christ is built up. We were given a feast for our cultural senses through dance, food and language, and Erin had the privilege of opening the Synod. President Rev Jensey Mojuin included greetings to the LCA in his opening speech. He prayed for Bishop John Henderson’s wisdom and good health and that he would lead the LCA with strength. We learnt about the importance of building the body of Christ. While many in Australia have the opportunity to flourish through gifts including healthcare, schooling and employment, there continues to be a growing hollowness in our personal relationships as communities and families disengage. At the PCS synod, delegates and pastors met several hours before the program began, not to complete preparations or ensure administration was in order, but to enable life in communion. Together they experienced the unity created by their relationship with God in Christ. We were embraced by the partnership LCA International Mission has with PCS as we saw one another through the eyes of Jesus. The Holy Spirit reminded us to recognise each other as members of God’s body, graced and loved by God, even as men and women with fears and struggles, hopes and longings, dreams and devastations. We were brought together in the sweep of God’s immense love. As we are bound in his love and joined in him, he made and continues to make us one. 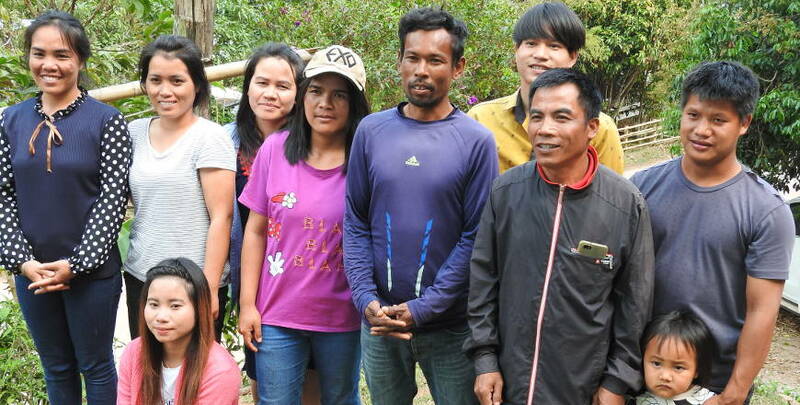 This story was also published in the December 2018 edition of Border Crossings, the magazine of LCA International Mission.